The Rams and the Patriots aren’t the only ones preparing for Sunday! With just a few days left before the big game, we’re busy making sure all your snacks will be touchdown-worthy. 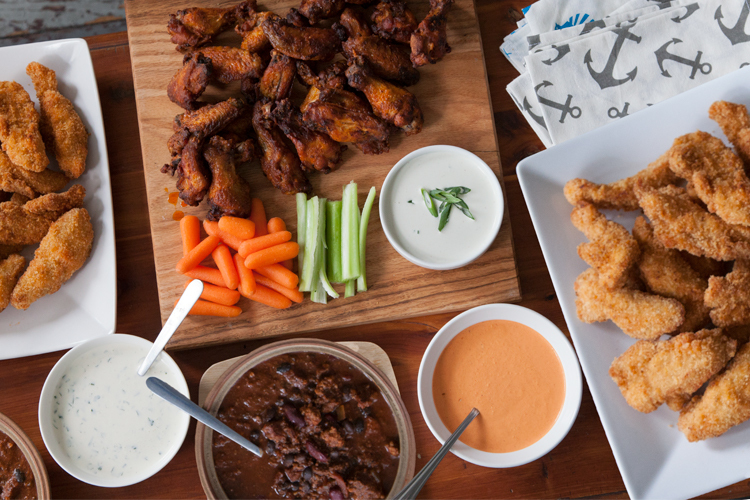 Aside from being easy to eat, game day food should be easy to prep. Save your time for watching the action and let us provide the perfect selection of food and drinks for a delicious game day spread. Our chefs have been busy crafting a great selection of ready-to-eat game day favorites, all of which are made in-house from the same high quality ingredients we carry in our store—ingredients like antibiotic-free meat, local produce, extra virgin olive oil, and pure sea salt. We’ll have two types of tasty chicken wings, party-sized glazed meatballs, and classic chicken tenders. We’ll also have our popular beef and black bean chili available, as well as BBQ pulled pork and made-from-scratch dips and crudités in convenient grab-and-go pre-packed containers. And of course, we’ll be well-stocked with your other football-watching essentials: beer, chips and our signature housemade guacamole. And if you’re looking for a deal or need to feed a crowd, some of our favorite snacks and finger foods will be on sale, with Table 87 authentic coal-fired frozen pizza, YuBuns Brazilian cheese bread, Xochitl salsas, Pirate Brand Puffed Snacks, and more currently on special through February 13, 2019. Remember, our special Game Day Menu of prepared foods will only be available this weekend, while supplies last, so be sure to pick everything up well before kickoff to ensure your stomach will be happy even if the game takes a turn for the worse!